The Baker Hughes rig count report shows U.S. oil rig count increased by 2 to 887. The rig count data are range bound between 850 and 900 rigs. 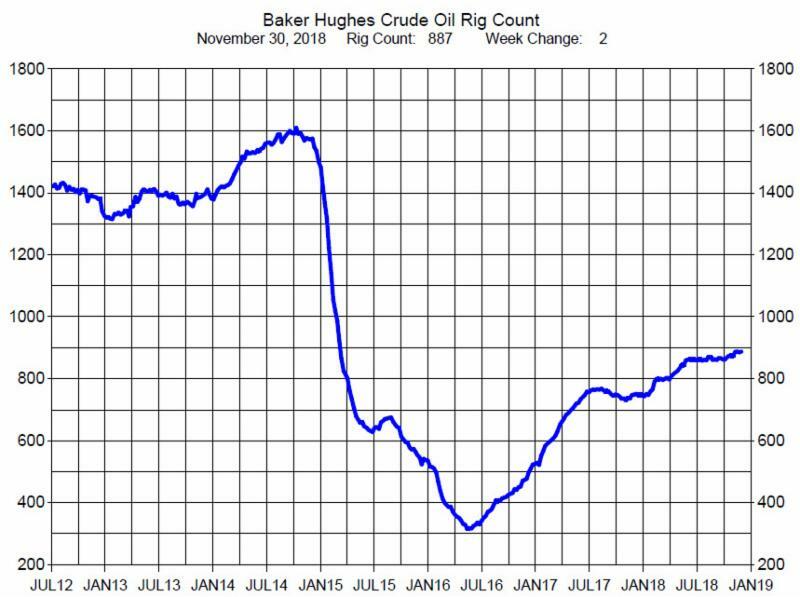 As we have mentioned before the major fall in prices since October have not influenced the rig count. US crude oil production remains at record 11.7 million barrels per day and no real change in rig count. We still need to observe if crude oil price or production affects rig count.